Whether it's a weekend or a month away, rucksacks ranging from 50-70 litres should cover most needs. The 14 models on test here include both smaller lightweight packs and gear guzzling titans. If you're after wheeled luggage with the knock-about toughness and practicality of a duffel bag, then this a great option, says Dan Bailey. But it's not an off-roader. It's light, comfy and well featured - but why did this superb climber's pack have to be so dark coloured, asks Toby Archer? New for this season, Montane have updated their iconic Fast Alpine climbing pack to increase usability and versatility. 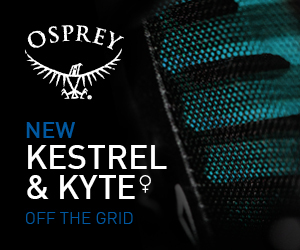 With a proven legacy, the new Kestrel, and the women's specific Kyte are rugged, high performance backpacks for long trips.